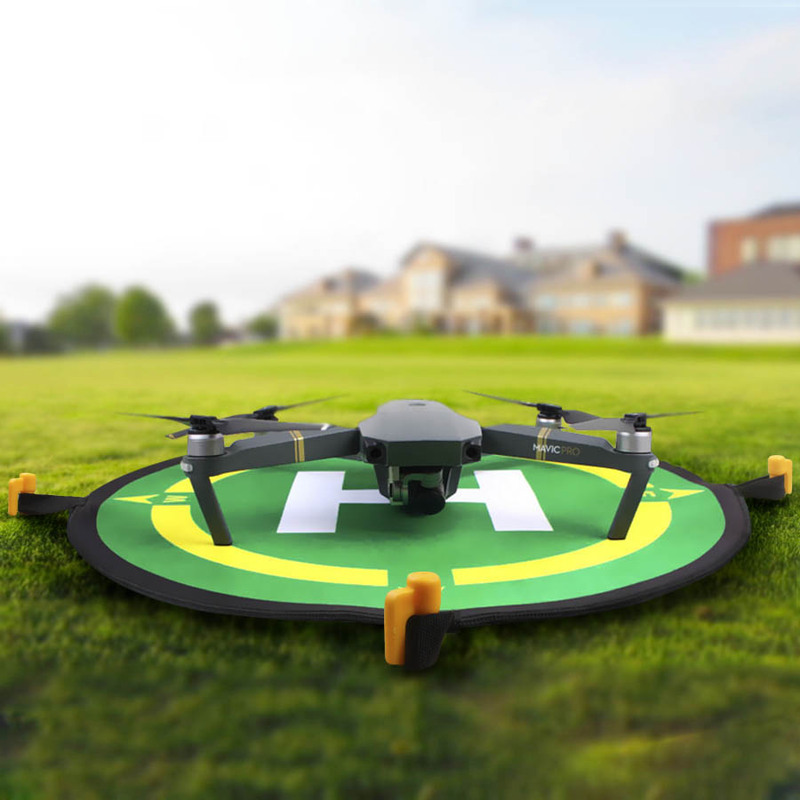 Sunnylife Foldable Drone Parking Landing Field Landing Pad with Compass Directions for DJI Phantom 4 3 SPARK Mavic Pro Feature: -Diameter 50cm, easier to fold – With compass directions, easily to find location – Fit for DJI SPARK, MAVIC PRO, Phantom 3, Phantom 4/PRO/PRO+, etc. Using Tips: The landing pad isusd to protect gimbal, camera, lens, drone body when landing on uneven SOFT fields, and it should be used with fixing nails. If your pad with slight folding creases, pls just unfold it and put it on the ground for serveral hours.